A double self-portrait rendered in 8 wood panels in acrylic and tinted wax. 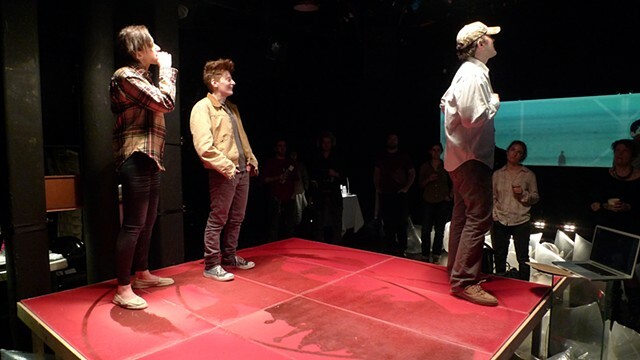 The 8 panels were used as the floor for a performance of 17 suburban vignettes written by Jessica Almasy. The wax surface recorded those movements and as time goes on, they slowly fade.